Join Martial Arts instructor of 20 years and ECE/Elem State Certified Teacher, Lara Jones, co-owner of Southwest Portland Martial Arts/CrossFit Hillsdale and Upper Westside Play Gym for a fun six-week introductory series specifically geared towards five & six year-olds! CONTENT:Students will be offered up fun active games, drills, and challenges that will serve to introduce them to basic warm-ups/mobility exercises and very basic calithetics that help develop speed, strength, coordination and timing. Classes will also touch on rudimentary safety habits and protocol for working with fellow students and adult instructor in a formal class environment with: cooperation, good sportsmanship, listening skills, and organization (lining up, taking turns, and cleaning up). Obstacle courses and exposure to traditional Martial Arts, Parkour, Gymnastics, and Fitness calisthenics and equipment will be incorporated into each class as well. The instructor will work Martial Arts skill-work in as developmentally possible, with an emphasis on blocks to protect the head, kicks and punches with proper alignment, and rolling – all with an emphasis on safety. Students will also learn grab counters, beginning Jiu-Jistu positions, and beginning sparring skills (the sport of ring sparring involves controlled partner work, and “kiss-touch” contact to the body). REQUIRED MINIMUM:A minimum of 3 families signed on (registered and paid in advance) by 1/5/19 will be required to run this series. Class registration will sit at a minimum of 3, and maximum of 6 students. COST:The cost is $95 for 6 weeks of instruction. Registration fees are non-refundable. PREPARATION AND PARTICIPATION:Families will be highly encouraged to take care of bathroom and water needs directly on arrival. Students may wear whatever they are comfortable moving in, and bare feet. We do not require uniforms or charge any additional fees beyond the series fee. Students are welcome to salute on the floor at 10:30 AM, and will attend class until 10:55 AM, with group clean-up taking place from 10:50-10:55AM – (prior to debriefing & saluting out). This series will take place at our new campus, at 6315 SW Capitol Highway. 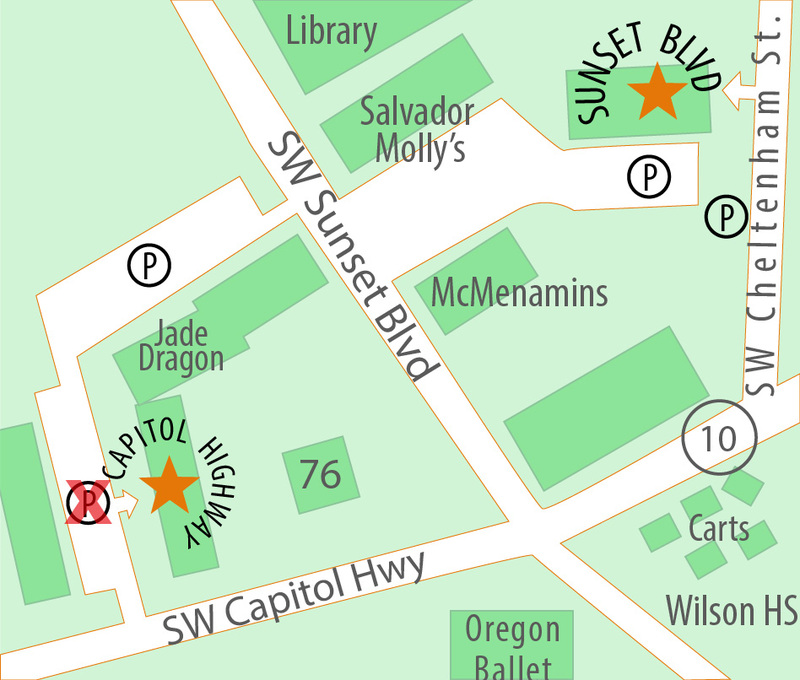 Look for the white storefront with three large windows, and Southwest Portland Martial Arts Lightbox sign.